Insider trading charges continue to plague Intel’s acquisition of Jerusalem-based car technology firm Mobileye N.V. In a lawsuit filed April 5 in a New York Southern District Court, the SEC charged two Richmond, Virginia residents with insider trading related to the acquisition. The SEC alleges that Lawrence F. Cluff, Jr. and Roger E. Shaoul bought Mobileye shares ahead of the deal’s March announcement and sold the shares for a profit of $925 thousand. Allegedly, the two received early information about the deal, through Mr. Shaoul's brother, James Shaoul, a cosmetic physician living in Jerusalem. The latter, according to the lawsuit, has ties with Mobileye’s co-founders Amnon Shashua and Ziv Aviram. The lawsuit claims Mr. Shaoul instructed Mr. Cluff to buy Mobileye shares in February, after receiving a tip from his brother. Mr. Cluff, previously ignorant of Mobileye, opened a trading account after Mr. Shaoul claimed he could not do so himself due to the circumstances. They invested money twice; first buying mobile shares for $161 thousand and then buying more stock for $28 thousand. Mr. Shaoul, according to the lawsuit, invested in Orcam Technologies, a company founded by Messrs. Shashua and Aviram. OrCam develops and sells assistance devices for the visually impaired. The three also have children that are on friendly terms, and allegedly Mr. Shaoul's children knew about Intel's intention to buy Mobileye prior to the public announcement of the deal. In March 2017 Intel announced a $15.3 billion deal to buy Mobileye, the Jerusalem-based supplier of automotive collision detection systems. The first stage of the acquisition was completed August 8, when Intel secured 84% of Mobileye’s shares. According to the SEC, the two companies signed a non-disclosure agreement on February 1. Messrs. Shashua and Aviram signed the agreement for Mobileye, agreeing to notify all informed persons about the pertinent American laws. According to Wendell Brooks, who runs Intel's merges and acquisitions team, only 25 people within the two companies knew about the negotiations, which started in January this year, following a November meeting. The deal was signed on March 12 and announced the day after, causing Mobileye's stock to rise by 28%. Mr. Cluff sold some of the shares three days later and drew $400 thousand from the account. Six weeks later he drew an additional $150 thousand, leaving $578 thousand still in the account. The charges against Messrs. Cluff and Shaoul, are an extension of a previous lawsuit filed in March in which the SEC charged two Israeli citizens with insider trading related to the deal. The two are Ariel Darvasi, Vice Dean of the Faculty of Science at the Hebrew University of Jerusalem, and Amir Waldman, former vice president of Israel-based medical device company Syneron Medical Ltd.
Due to Mr. Darvasi's health, the case against him was closed in July, when he agreed to pay a fine of $854 thousand—twice the profit he made—in exchange for not admitting guilt. 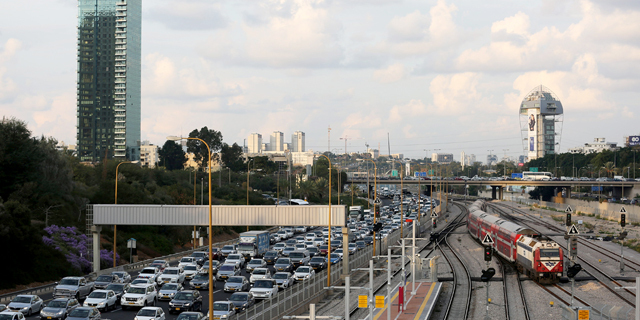 Mobileye has strong ties to the Hebrew University. Mr. Shashua is a professor at the University’s Rachel and Selim Benin School of Computer Science and Engineering since 1996. A few weeks ago Mobileye donated $6 million to the school for the completion of a new computer science building, Mr. Shashua said in an interview with Calcalist yesterday. 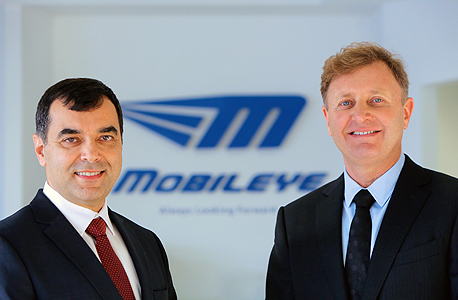 According to Mr. Shashua, the Mobileye-Intel deal necessitated changes in the relationship between Mobileye and the University. Mr. Shashua did not supply further details about these changes, but these may include a clear attribution of intellectual property rights concerning his research. The required changes, he said, prompted the university to "make certain unreasonable demands" from Mobileye, presumably concerning payments to be made to the university. Around 15 years ago, the Hebrew University and Mobileye signed an arbitration agreement regarding Mobileye's intellectual property and the University's claim to royalties. The University's decision to reopen the dispute caused Mr. Shashua to announce his resignation from the institute, though he believes that the matter will be resolved successfully and that he will maintain his position. The dispute and Mr. Shashua's subsequent resignation caused alarm among the university's faculty. Forty of Mr. Shashua's colleagues in the Rachel and Selim Benin School published an open letter addressed to university president Menahem Ben-Sasson on Sunday, warning that Mr. Shahua's potential departure will irrevocably injure the school, the university and the city of Jerusalem.